Welcome to The Mark Penthouse, the largest penthouse suite in The United States. Spanning 10,000 square feet with an additional 2,000 square feet of terrace, this duplex suite truly is a castle in the sky. It offers absolute privacy and ultimate luxury with 5 bedrooms, 7 bathrooms, 4 fireplaces, and a living room under the landmarked copper roof with 26′ ceilings. Please, take the tour, and see for yourself the sophistication of Jacques Grange’s impeccable design. 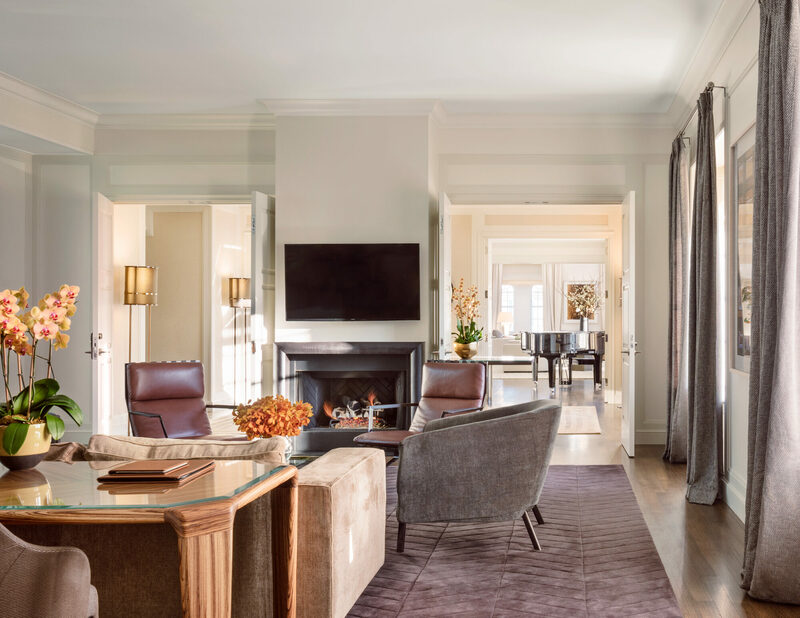 Take a peek at the suite’s unprecedented amenities, which include 24/7 in-suite dining by Michelin-star chef Jean-Georges Vongerichten and 24/7 access to Bergdorf Goodman (transportation via The Mark Pedicab). Indulge in bits and pieces of the iconic Mark experience.